Last month, Emirates and flydubai unveiled an extensive partnership, which will see the two Dubai-based airlines join forces to offer customers unmatched travel options. Both airlines will continue to be managed independently, but will leverage each other’s network to scale up their operations and accelerate growth. The partnership goes beyond code-sharing and includes integrated network collaboration with coordinated scheduling. The new model will give flydubai customers seamless connectivity to Emirates’ worldwide destinations spanning six continents. 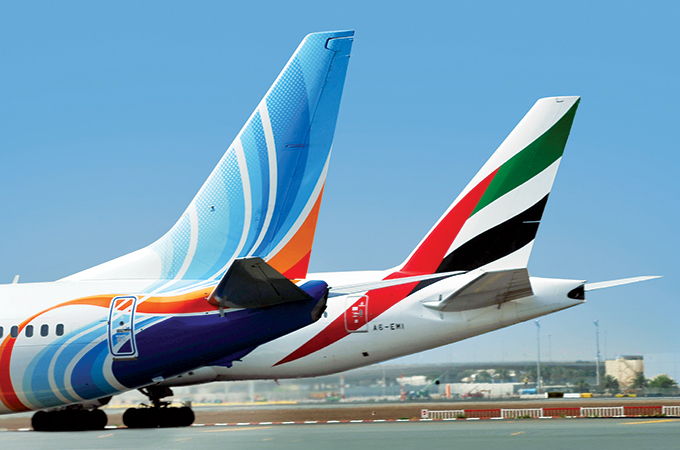 For Emirates’ customers, it opens up flydubai’s robust regional network. Experts agree that the new partnership will strengthen the emirate’s position within the global aviation industry as the airlines gain market share. The power these two entities will have together will make life hard for Air Arabia and Etihad, as well as Qatar Airways and other fringe carriers like flynas, Jazeera Airways and SalamAir.